How’s this for a mixed bag of pleasant surprises? : Bob Dylan’s fellow Minnesotans were treated to more “hits” than usual Wednesday at Xcel Energy Center; they also witnessed one of the only times on tour so far that he has performed a track off his new “Tempest” album (“Early Roman Kings,” which was pretty killer), and they got to enjoy both top-shelf acoustics and stronger-than-usual vocals -- you know, relatively speaking of late -- in the 90-minute performance. Not so surprising: Bob didn’t say anything about the election, nor about being back in his home state. 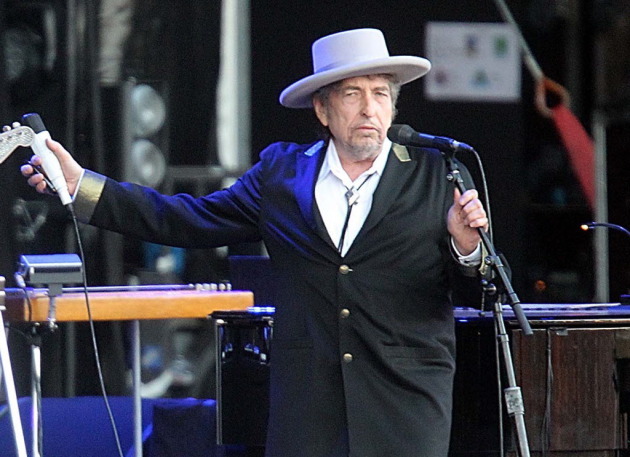 He rearranged the arrangements of every single one of the songs, which always turns off the uninitiated Dylan watcher (and there were no doubt some unsuspecting fans at this bigger arena show). And he finished off the show with the same three must-play tunes that have become his mechanical finale. Still, among Bob's hit-or-miss Twin Cities concerts of the past decade, this one pretty well floated to third or fourth from the top. In his opening set, former Dire Straits leader Mark Knopfler copied Bob and brazenly did exactly what he wanted to do -- which apparently wasn’t imitate his old band. “You know all those requests,” the British rocker good-naturedly asked the crowd at one point. “Yeah, we’re not going to do them.” Instead, he and the seven-piece ensemble (with flute, violin and accordion) played a long, meandering, “Riverdance”-like Celtic jam near the end of his set that wore on and on, with the audience clapping three different times for what it thought was the ending. Isn’t this the guy who, ahem, used to play that guitar on the MTV? 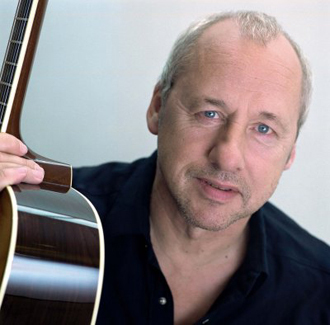 Knopfler and his band certainly know their instruments, though, and did offer more of a dazzling musical display in the playful romp “Corned Beef City.” When they finally did offer Dire Straits songs, they wound up being two of their sleepiest standards. Here are both of Wednesday's set lists. Click here to read the full concert review. DYLAN: I’ll Be Your Baby Tonight / Don’t Think Twice, It’s All Right (this and next two songs with Knopfler) / Things Have Changed / Tangled Up in Blue / Early Roman Kings / A Hard Rain’s a-Gonna Fall / Summer Days / Blind Willie McTell / Highway 61 Revisited / Spirit on the Water / Thunder on the Mountain / Ballad of a Thin Man / Like a Rolling Stone / All Along the Watchtower ENCORE: Blowin’ in the Wind.